The Welsh Government, with the support of the Data Unit Wales, will carry out a survey of local government councillors and candidates following the May 2017 elections. 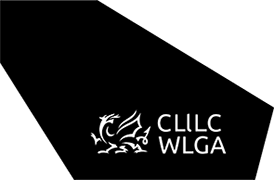 As part of the Local Government (Wales) Measure 2011, local authorities are required to conduct a standardised survey of councillors and unsuccessful candidates for election to the office of councillor in their area. The survey includes both county and community councillors and asks a prescribed set of questions that include (but are not limited to) questions about gender; sexual orientation; language; ethnicity; age; disability; religion or belief; health; education and qualifications; employment; and work as a councillor. Information from the survey will be used to understand the profile of candidates and councillors and analyse trends over time in order to improve the diversity of those who stand for office and identify any barriers they face. Open here for information about the survey undertaken in 2012.